How can excessive tea drinking cause adverse effects. It is common knowledge that wine and other spirits containing alcohol can make a person inebriated, also commonly known as being “drunk”. If you drink too much strong tea, it can have repercussions on your body similar to drinking too much alcohol. The tea can also cause inebriation. 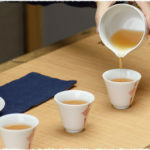 How to decrease the chances of tea causing adverse effects while drinking is this article talking about. 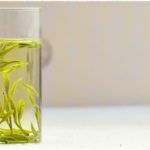 There are many different uses for your tea leaves after you have already enjoyed your tea, which makes for a wonderful way to recycle and reduce waste as well as helping to improve areas of your home and life. 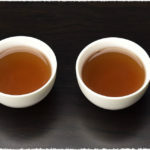 Pu-erh tea is a post-fermentation tea, which is a particular type of producing teas in which the tea leaves undergo a fine process of microbial fermentation after the tea leaves are dried and rolled. It is usually a very highly fermented tea. You can purchase Pu-erh tea in loose leaf form but the traditional and most widely way to purchase Pu-erh tea is in brick or cake form, where they compress the tea leaves extremely tightly into the shape of a disc, brick, square, bird&apos;s nest or some other tightly compressed shape.